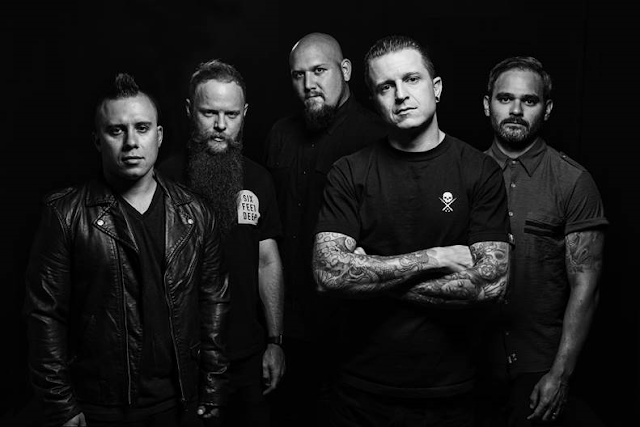 Approximately a year ago, Atreyu – one of the pivotal, definitive groups of the American hard rock and heavy metal scene that dominated the ’00s – emerged from a period of self-imposed dormancy; the musicians played both festivals and sold-out headline shows, released a new song that earned instant social media trending status (‘So Others May Live’), and commenced writing a new album, to the delight of the fans. Now, the band is gearing up to unleash that album, Long Live, on September 18th via Search and Destory/Spinefarm Records, and there is a swell of activity surrounding the release. The band has also revealed the full track-listing for the album, along with the cover art (see below). 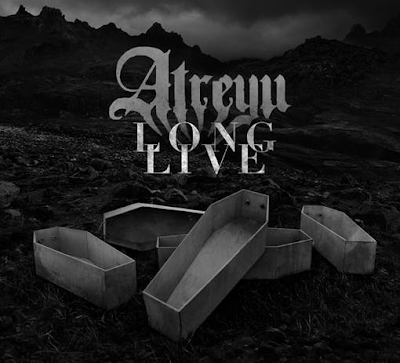 Pre-orders for Long Live are available with ticket bundles; fans can pre-order the record here www.longliveatreyu.com or on iTunes. Drummer Brandon Saller says, “This is my favourite video we’ve ever created. We were fortunate to have our own Porter McKnight at the helm with the art direction and filming. Also, we wanted to make the pre-order options interesting and have items for the true collector. Grab your pre-order and get the title track instantly. Then I recommend going to your car, cranking it up and driving fast while screaming your f**ing head off!" “Long Live is by far my favourite Atreyu video, which his fitting because our new record, Long Live, is the strongest Atreyu record to date,” adds frontman Alex Varkatzas.